Join us for our next Breakfast with Brokers on October 25th at Dilworth Neighborhood Grille from 7:30-9:00am. This is a great way to network with other CRCBR members. Our speaker is Deputy Director Alyson Craig from the Charlotte Mecklenburg Planning Department. Alyson will provide insight into the planning and zoning initiatives, upcoming changes and latest updates. This is a members only event. All Breakfast with Brokers events are $20 to attend. Seating is limited. Onsite registration may not be available for this program. Click Here for Broker Registration. Click Here for Corporate Associate Registration. Are you interested in increasing recognition for your company? View our sponsorship opportunities available for Breakfast with Brokers events. Alyson Craig is the Deputy Planning Director for the City of Charlotte's Planning, Design, and Development Department. She provides oversight to two of the Department's divisions, Land Development and Entitlement Services (Rezoning/UDO), our HR and budget operations, and serves as backup to the Planning Director. 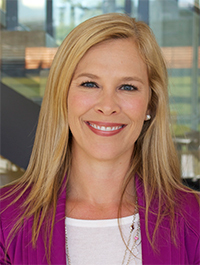 Alyson previously served as the Co-Director of the Childress-Klein Center for Real Estate and the Director for the Master of Science in Real Estate program. She taught several courses within the graduate real estate program, including Real Estate Development, Site Planning, International Real Estate Study Tour, and Real Estate Capstone. Prior to joining the faculty, Craig worked for Grubb Properties' Investment team as a development and acquisition associate to identify and analyze potential office, multi-family, and mixed use deals. Before moving to Charlotte in 2011, she was Vice President of a planning and engineering firm in Florida working with clients on development agreements, rezonings, and annexations for large multi-use land development projects.